Bad Company are scheduled to perform on The Tonight Show With Jay Leno on Monday, June 10. The reunited band will celebrate their 40th anniversary when they kick off their summer tour on June 15 in Rancho Mirage, CA. On June 20, Bad Company team up with Lynyrd Skynyrd in Auburn, WA for a series of co-headlining shows that run to July 27 in Bethel, NY. Both bands celebrate significant 40th anniversaries in 2013, with Skynyrd having released their debut album on August 13, 1973 and Bad Company being formed that same year. 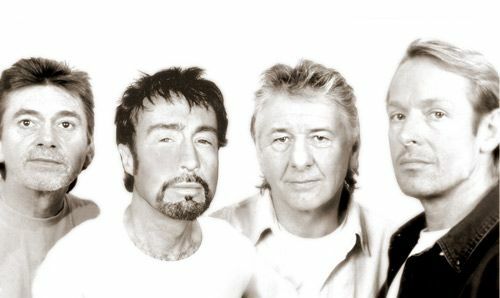 While the pair have shared the stage and Paul Rodgers has toured with Skynyrd, Bad Company and Skynyrd have never toured as co-headliners together. "The Skynyrds and I go back to the 70's and the days and nights at the Hyatt House on Sunset in LA aka the Riot House,” says Rodgers. “In the 90's, the band introduced me to my wife Cynthia, and that's why I am so damned happy and healthy these years."